For 42 years the Nassau Veterans Memorial Coliseum has remained pure. Nassau. Veterans. Memorial. Coliseum. But times could be a-changin’. It is one of only a handful of venues in North American professional sports without a corporate sponsor. This dying breed has sustained through strength of name and strength of building content. Lambeau Field need no explanation, nor does Yankee Stadium or Joe Louis Arena. History curls around every letter of the name. Smoothing King Arena has no such aura or mystique. Dunkin’ Donuts Arena reminds me I need a wake up before an 8am staff meeting. FedEx Field brings me back to screaming matches with customer service representatives who would not stop their drivers from throwing fragile packages over our back fence. On to concrete. No fond memories here. When the Coliseum no long supports a major professional team the revenue stream is going to shrink. There are only so may home shows, Disney On Ice, and American Idol tours every year to be lured to suburban Long Island. Even with hopes of a Sound Tigers occupancy, the income will not match the levels a National Hockey League team brings in. When you need revenue, what do you do? The immediate and safest bet is Barclays. Ratner, real estate developer and Nets minority owner, owns the rights to the Coliseum renovation. He is a partner with Barclays, the main corporate sponsor of the arena he built to house the professional basketball team he partially owns. And the Islanders are moving from Nassau Coliseum to Barclays Center. It would be a perfect fit. Call it Barclays East and you’re set. To be blunt, I’m not for a corporate name for the NVMC. I think corporate sponsorship naming reduces the value of the building’s inhabitants and shows that everything about a business is for sale, not just the product is provides. If this is indeed the path the Coliseum must take, keep the sponsorship local. Partner with a Long Island based company to invest in a Long Island product. 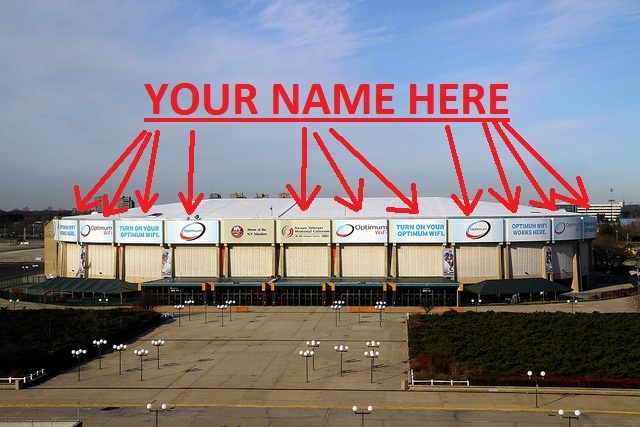 Here are some options for naming rights owners if Ratner does not bring Barclays out east. Legendary producer of military and civilian aircraft based in Bethpage. Powered the Long Island economy for decades in wartime and peacetime until it was purchased by Northrop in 1994. And aesthetically speaking, how beautiful would this logo look on the updated barn? Founded in Brooklyn in 1916, now headquartered in Jericho. Famous hot dogs, famous hot dog eating contest, can replace the current hot dog option. “Your Hometown Sporting Goods Store” is a Manhattan-based business with a huge presence on Long Island. Already a major sponsor of the team, jumping to building sponsor is a logical jump. You hear their trademark whistle at every game. You’ve bought a TV or stereo or refrigerator from them. They bought Circuit City. Founded in Ozone Park, now settled in Farmingdale, this local appliance chain is another major team sponsor that could make the jump to main sponsor. The flowers-on-demand firm with its offices within eye-shot of the Coliseum in Carle Place. Pioneering business in the world on on-line retail and parent company to many other successful gift and marketing ventures. Long Island’s brewery based in Patchogue. 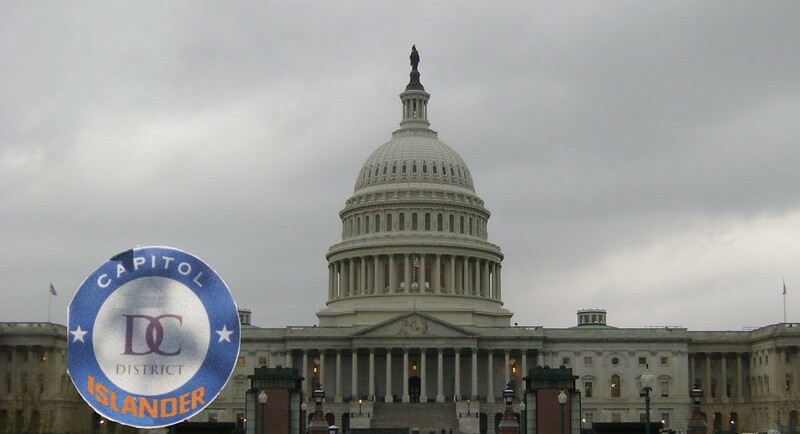 Top-50 micro brewer in the US and growing, already heavily invested in the community. Watch local, drink local. Oleg Cassini, Inc. is an American fashion house founded by American fashion designer Oleg Cassini. The company is based in Oyster Bay Cove, New York, and was established in 1951. The Oleg Coliseum…think about it. One of the mainstays of pure naming may be in jeopardy. With the clock ticking down to the descent of Bruce Ranter’s shovels and dump trucks upon Nassau Coliseum, revenue into the facility will be a top consideration. If a corporate sponsorship is the road to go down, and the ope is that road can be avoided, keep it simple and keep it local. This entry was posted in Islanders and tagged bridgeport sound tigers, disney on ice, islanders, isles, nassau coliseum, nassau veterans memorial coliseum, new york islanders, oleg cassini, oleg kvasha. Bookmark the permalink.